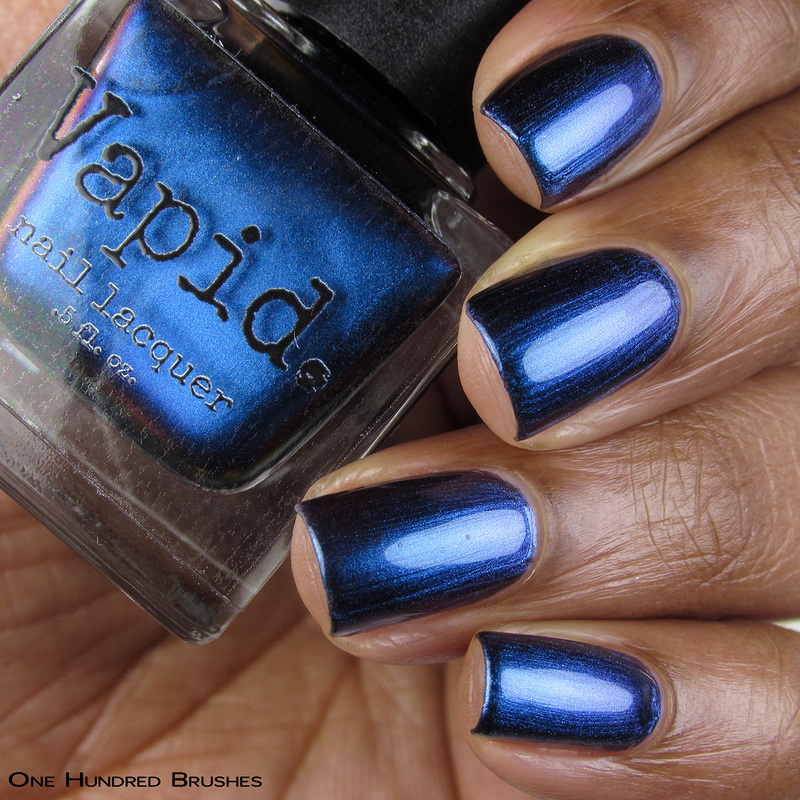 Vapid Lacquer is celebrating January with a preorder, yay! This is release contains three dark and moody polishes, two of which were previously released during last October’s The Indie Shop (TIS) event. If you’re like me and missed TIS last year, then you’re probably also gleefully rubbing your hands together now that they can be yours! Completely acceptable! The other polish is a brand, spanking new one who’s happy to join the gang! 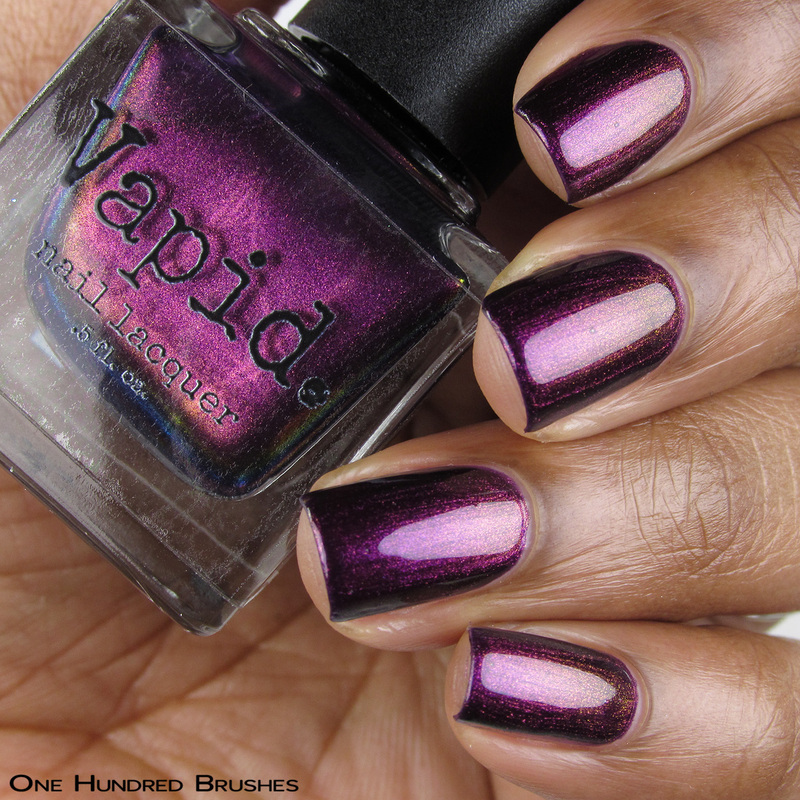 Heads up, this will be the only release of these polishes this year, so get them while you can! 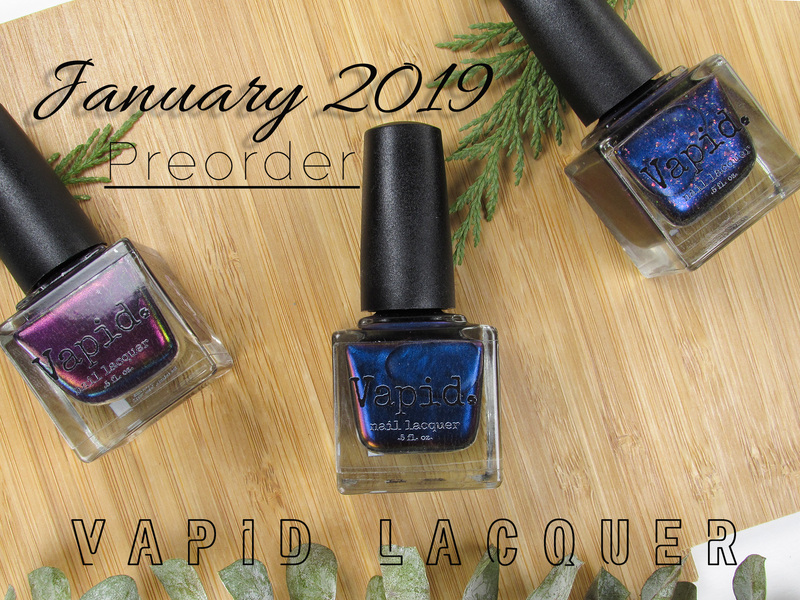 Let’s take a look at the January 2019 Vapid Lacquer Preorder polishes! 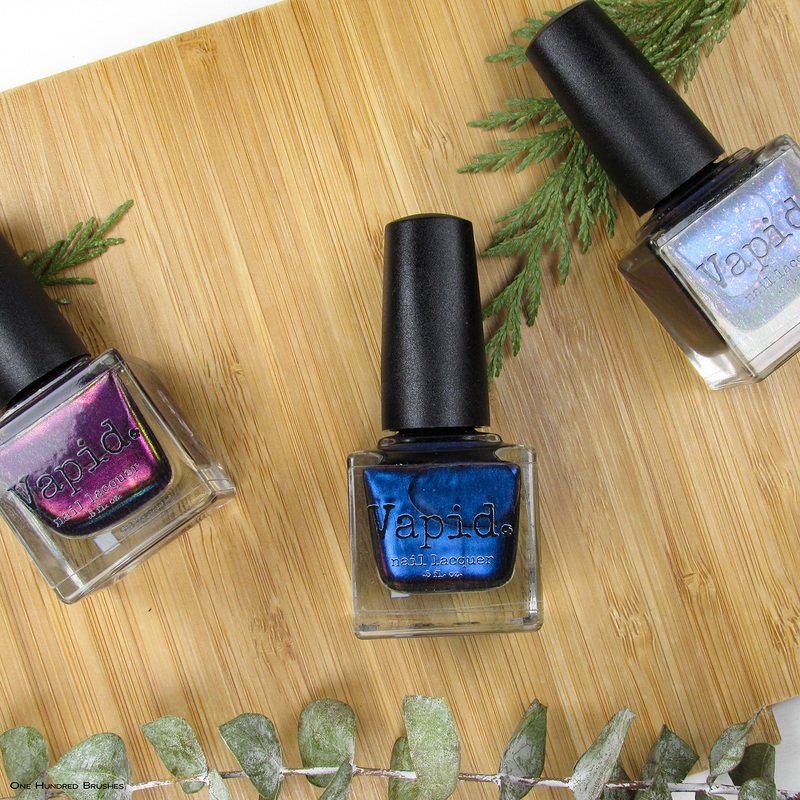 With this preorder, only these three polishes will be present on the Vapid Lacquer website and will be available for only a week. There will be a purchasing limit of three of each shade per person. 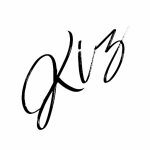 A small restock will follow this release which will carry the brand’s regular offerings. Starting things off is the luxurious Ultimatum. Ultimatum is a rich purple berry ultra chrome base with a shift of pink to violet and gold to green. The formula is smooth and nicely pigmented with a medium application feel. 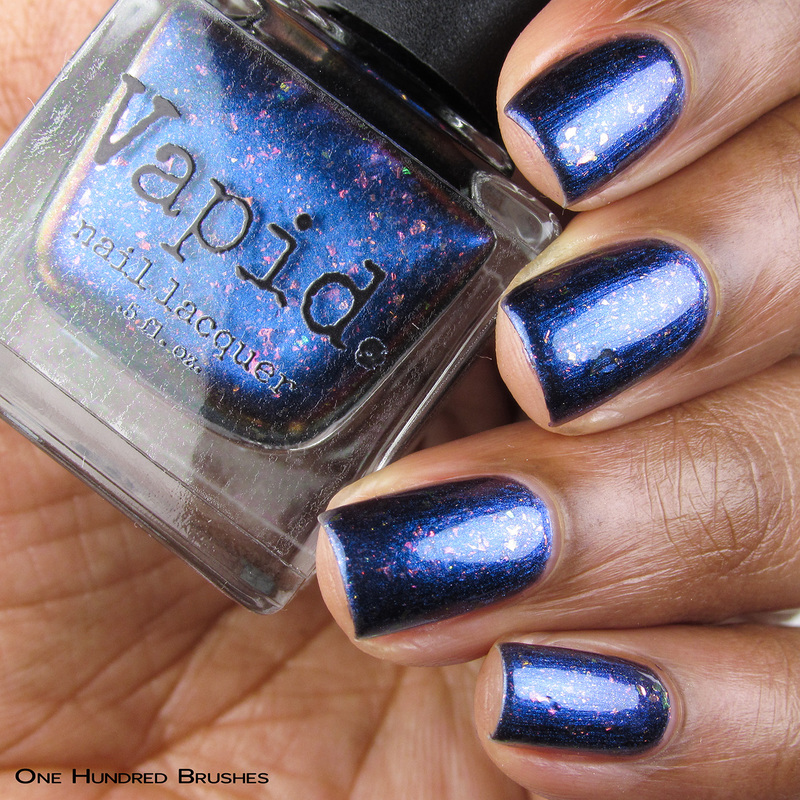 This is one of the shades previously released at TIS now made avaiable to wider masses. I’m wearing two coats with a glossy topcoat. Next up, Melancholy! 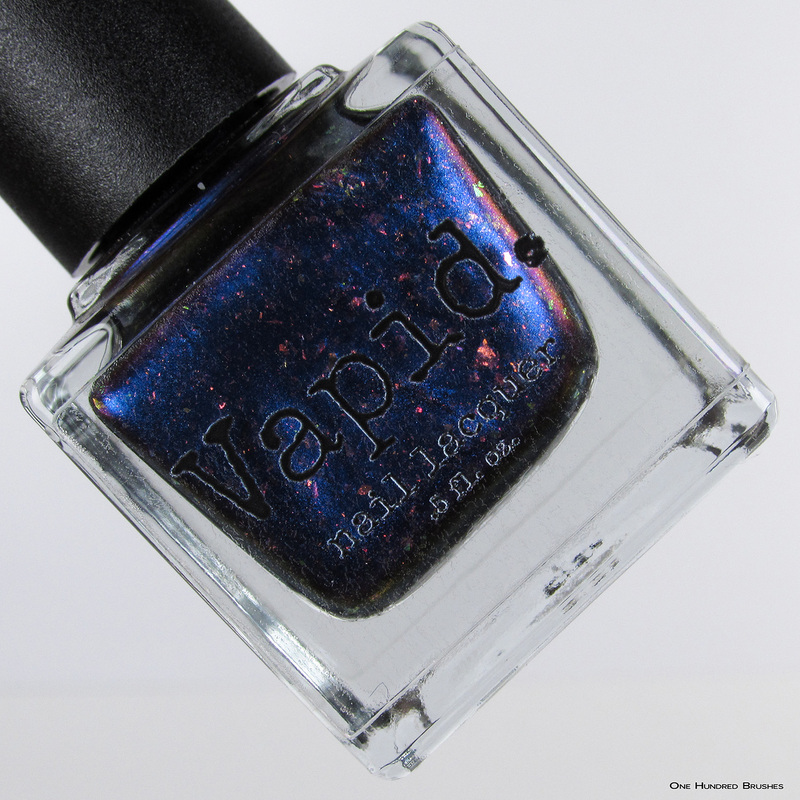 This shade, previously known as Prototype 553 will now be available without a trip to Texas or a polish fairy. 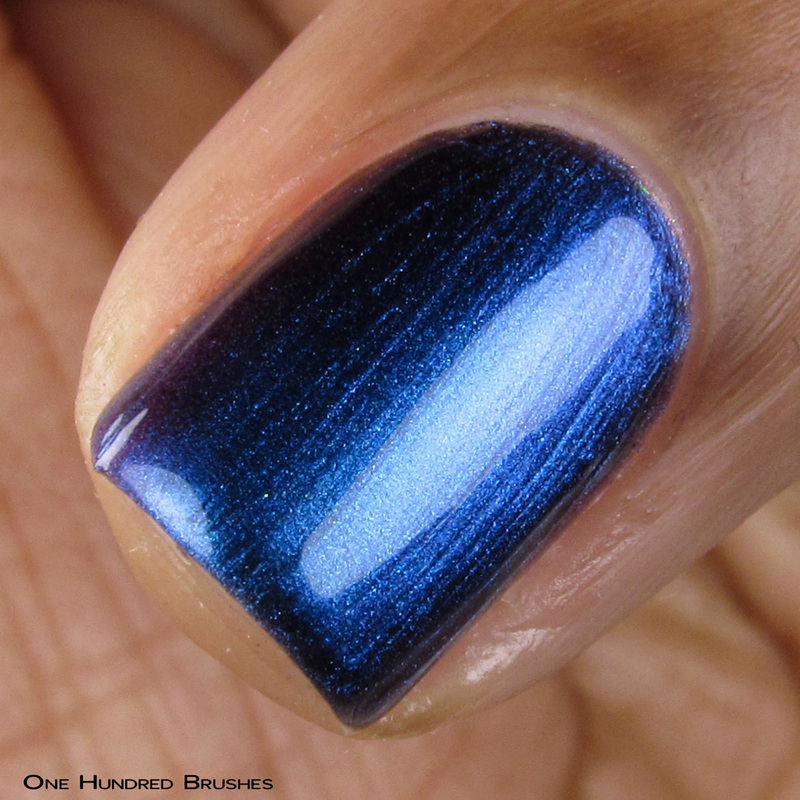 Melancholy is a vibrant ultra chrome with a shift from steel blue to royal blue and settling on violet. The violet movement wasn’t captured as well on camera and is more apparent to the naked eyes. Again, the formula here is buttery smooth leading to an easy application. Be aware, there is a tendency for visible brushstrokes if the polish is applied more rushed. A good topcoat smooths away a lot of these strokes although you can still catch a few in my photos. Here, I’m wearing two coats with a glossy topcoat. Finally, here’s the newbie! A Little Madness, also identified as the hours of 7 am – 9 pm at my house. 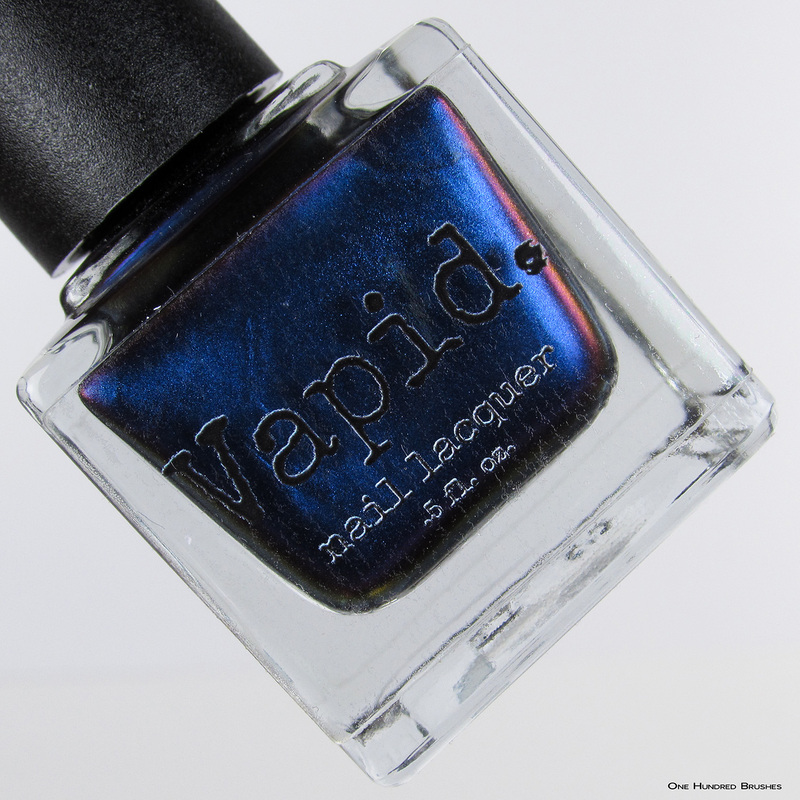 If this polish looks familiar to you, it’s because it holds the same steel blue to royal blue to violet shifty base that Melancholy bears. Blended in are flakes that move between red, orange, gold and green as well as a dusting of aurora sparkle. The flakes are easily accessed, well behaved and add great pops of color here. Again, be aware of the possibility of brush strokes as you apply. Here, I’m wearing three coats with a glossy topcoat. I’ve added a low light image below to show off the flakes. 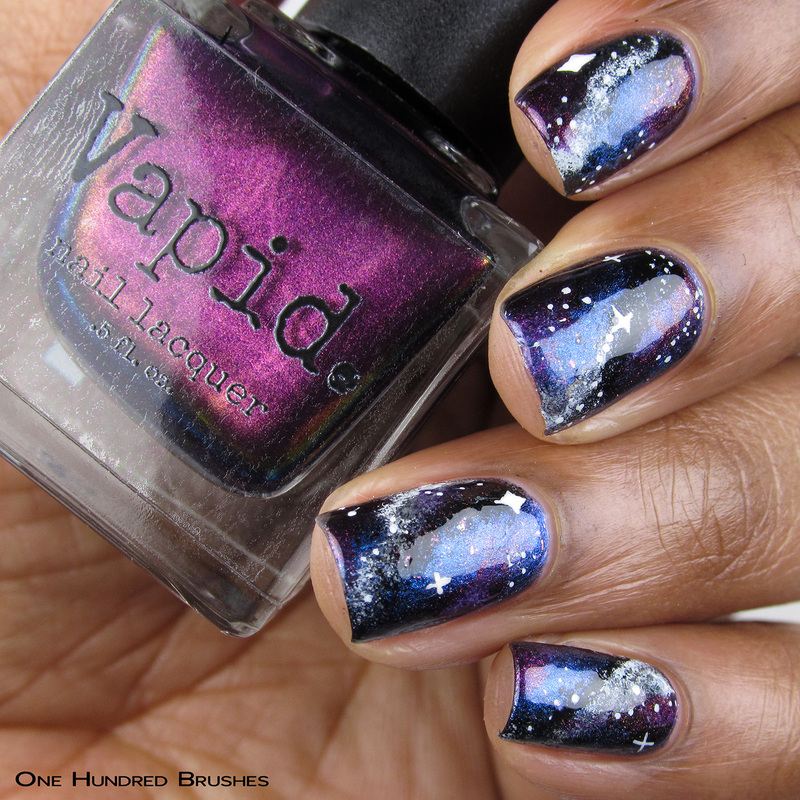 I liked how complementary these shades are together and thought to show them well blended in a galaxy mani. 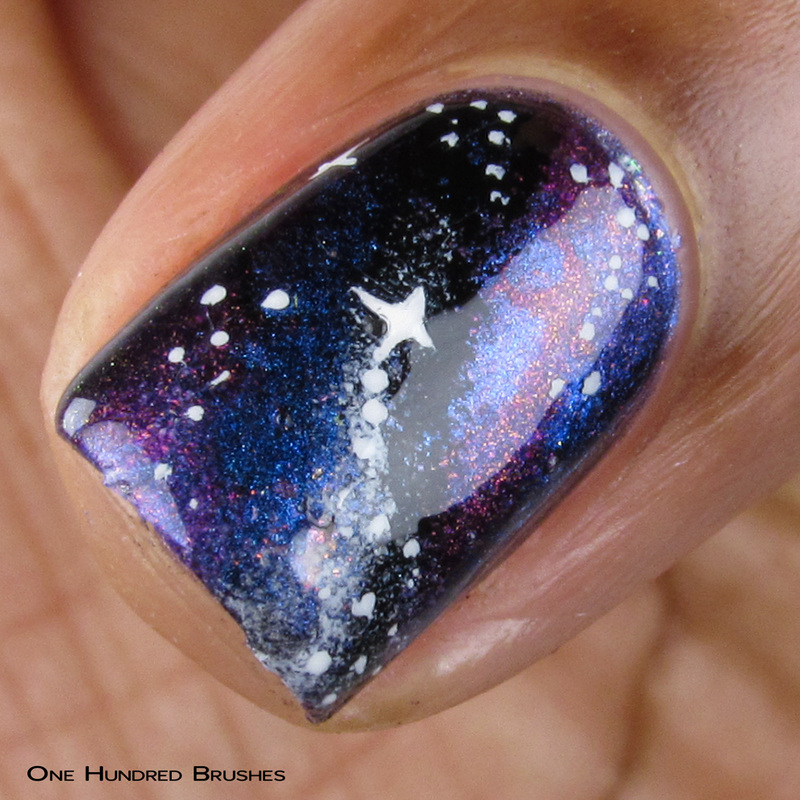 In addition to the three shades, I used black and white polishes for that galactic look. 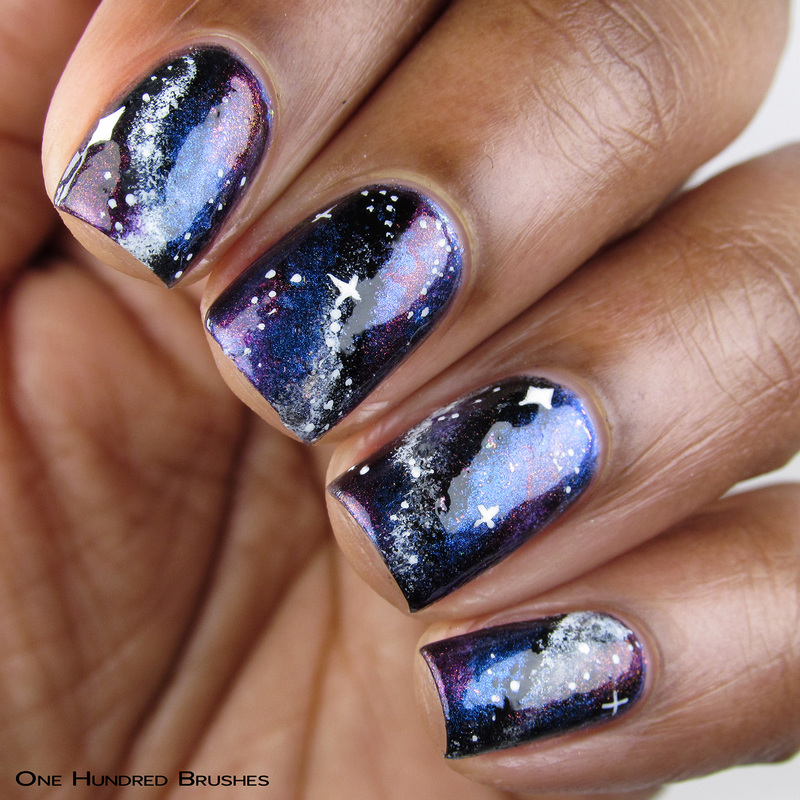 I thoroughly enjoy dark and vampy polishes and these please me greatly. Although I find myself teetering back and forth between the two blue shades, today, Melancholy is my favorite. Remember, during this preorder, only these three polishes will be up on the website, with a small restock of other products afterward. 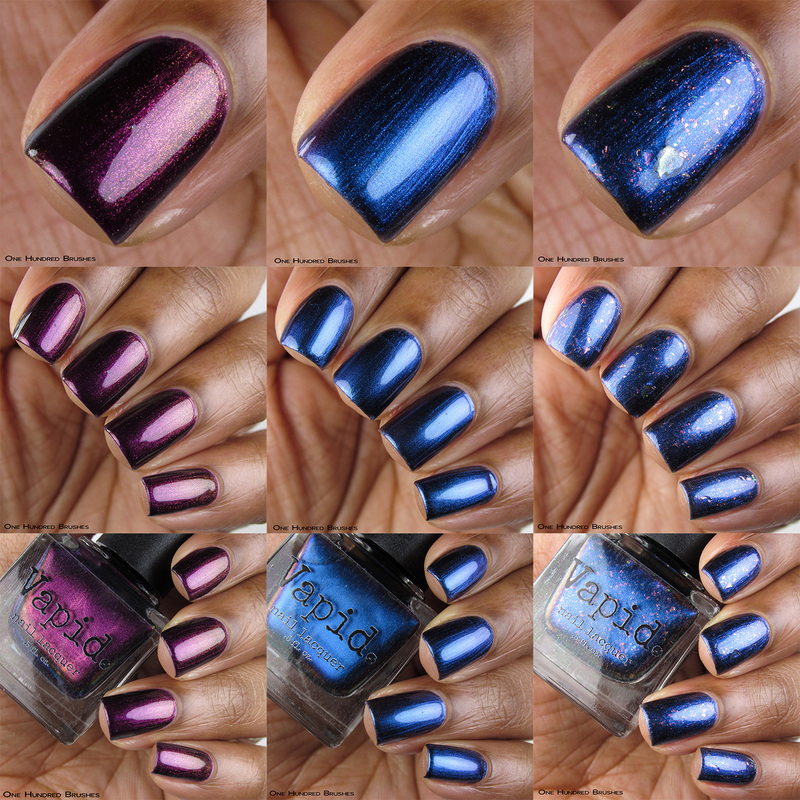 To see the polishes in action, check out Delanie of Fat Cat Pawlished do her live swatches! Do you have a favorite from these three? What will you be grabbing? Very pretty, I love Ultimatum.